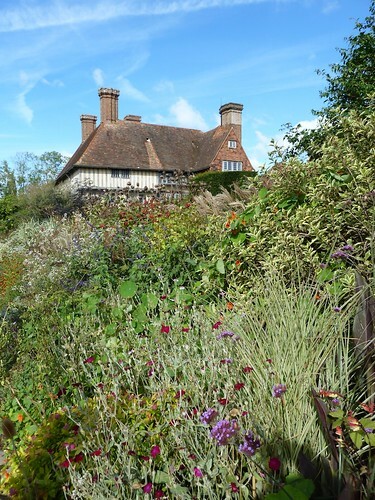 Great Dixter had a plant fair on the other weekend and it was the perfect excuse to make a long-overdue return visit to one of my favourite gardens. 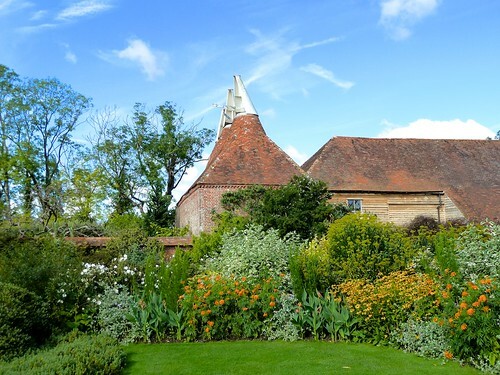 Deservedly famous and created by its equally famous gardener-owner, the late Christopher Lloyd, this garden in East Sussex is packed with plants and is full of beauty, interest, splendid views and an awful lot of heart. Always worth a visit, I couldn’t recommend it more. Approaching the front of the main house. There is always an impressive pot display there to greet you. 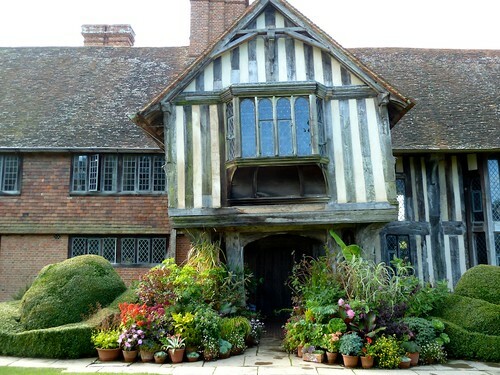 No one quite does it like they do at Great Dixter. 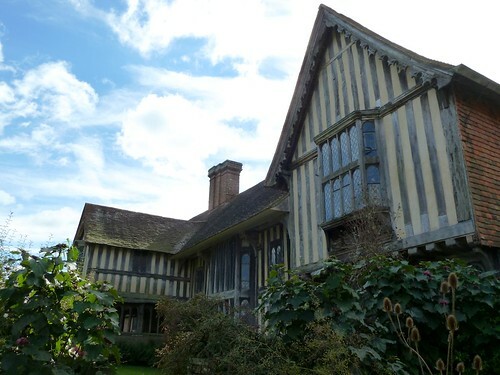 The house, which was Christopher Lloyd’s family home, was originally built in the mid-15th century, later restored and extended by Sir Edwin Lutyens in the early 1900s. 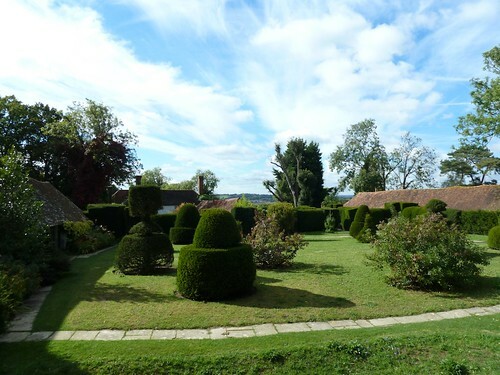 The gardens wrap around the house so it is prominently visible from most places in the garden. 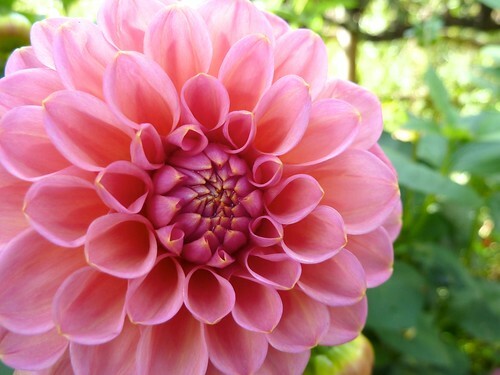 I love the soft salmon-pink and perfect petals of this gorgeous Dahlia ‘Dikara Superb’. Too sublime for words. In your face. 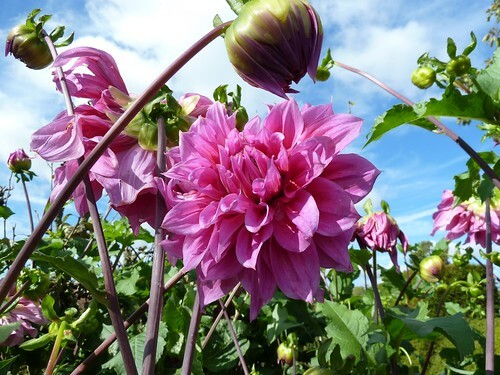 The giant Dahlia ‘Emory Paul’ towering over me (not difficult I’ll admit, but still!) in the High Garden. 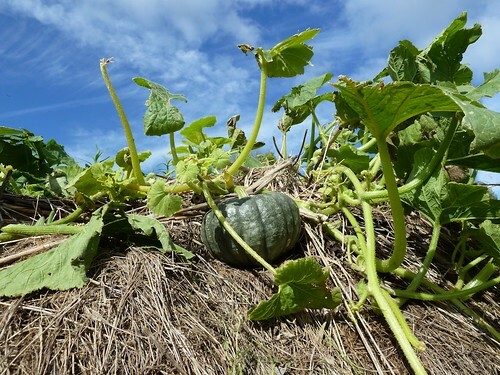 Squashes growing on top of the compost heaps, round the back of the High Garden. One day I will try this. 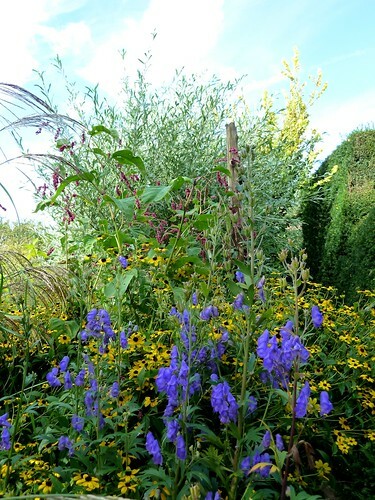 Truly a plantsman’s garden. 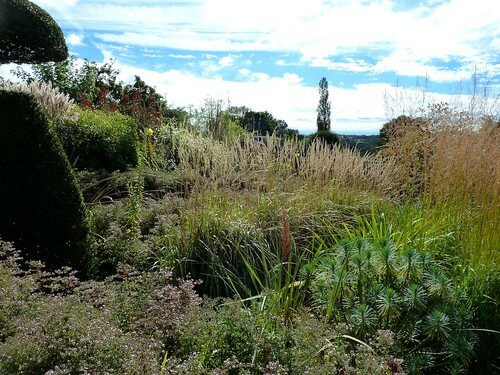 Bursting with plants as far as the eye can see, back to the rooftop of the main house over the High Garden. 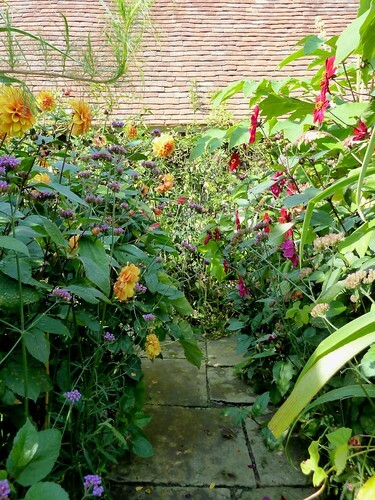 The Exotic Garden stuffed with luscious foliage plants. In the early ’90s Lloyd famously and bravely ripped out an 80 year old traditional Edwardian rose garden to create this. And what a great decision it was. I particularly like the orange and purple combination of the Dahlia ‘David Howard’ and Verbena bonariensis on the left of this picture. The plant fair was small and friendly with a lovely village atmosphere. I liked the sweet-looking stalls that the nurseries set up shop under, with simple timber frames holding up a corrugated roof. We had such a perfect afternoon out. The low autumn sun cast a beautiful light everywhere. I left with a distinct feeling that I needed more dahlias in my life next year, starting with some of the cultivars I saw here. Shopping list at the ready…! 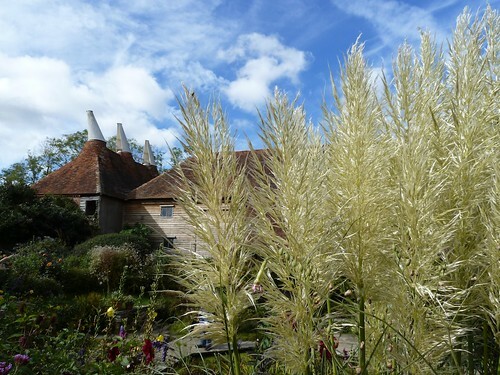 And I also resolved not to leave it so long before I visit Dixter again next time. 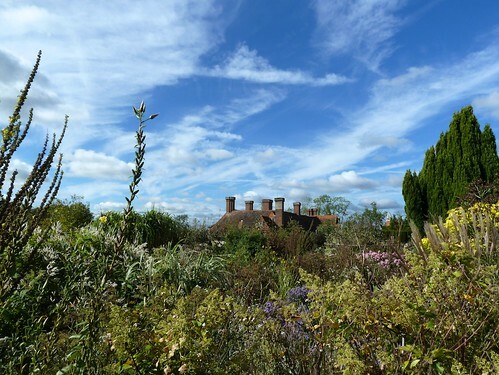 Great Dixter house and gardens are open from April to October, Tuesday to Sunday. 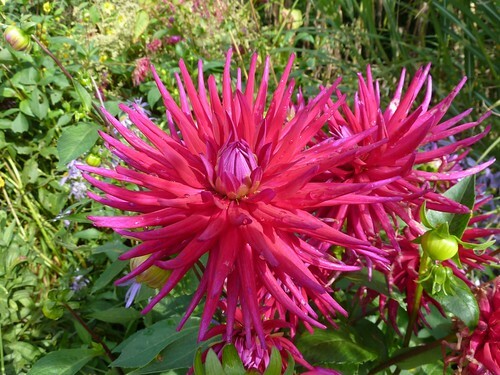 A wide range of dahlias are available to order from The National Dahlia Collection (cuttings) or Sarah Raven (tubers).